Green energy quickly fades whenever the costs suddenly become readily apparent and no one wants to pay. China and Germany provide the latest evidence. As the mush for brains and wolf-crying millennial Alexandria Ocasio-Cortez preaches the world is about to end in 12 years and the cost of green energy is, therefore, somehow irrelevant, two countries are saying otherwise. And, they’re not just any countries; they’re two of the nations cited by green energy advocates as world leaders we should all emulate with the greatest urgency. They are China and Germany. Both are stuck on coal as the U.S. has moved to cleaner gas that actually makes a difference. If you listen to AOC long enough, 30 seconds or so, you realize she really has it in for her homeland. 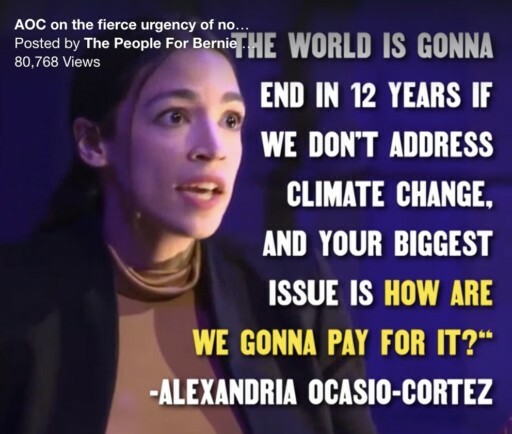 She supposes the U.S. is the cause of a global warming crisis and must spend whatever it takes to pursue a green energy revolution; her green new deal.” That attitude ignores reality. It is the U.S. that has “bent the curve downward,” on emissions as AOC-like politicians are prone to say. We have shifted from coal to gas to do so. China and Germany are sticking with coal because green energy can’t compete with it as gas does (although China is now fracking, too). China is cutting back on solar and wind units due to their cost, the ballooning subsidies the state owes the solar and wind power builders, and the lack of grid-connected transmission capacity. It has now placed the financial responsibility for the units on the local governments and required any solar or wind power built to be cheaper than the benchmark coal price. Altmaier said half of Germany’s current hard-coal and lignite capacity of just over 40 GW would still be operational in 2030, with any agreed phase-out timetable needing a periodic review based on security of supply and affordability criteria. Germany, of course, put all its eggs into its Energiewende, which has spectacularly failed to reduce emissions as intended, but has spectacularly increased electric prices. The inability to phase down the use of lignite or dirty brown coal is directly attributable to ideological decisions to get out of clean nuclear energy and to never touch clean natural gas development. Compare this idiocy to the U.S., where the shale revolution has simultaneously lowered emissions and energy costs. But, don’t expect the girl wonder from the Bronx to get any of this. That would demand the ability to think rather than preen. Great post. Please forward to all your contacts. Ocasio – Cortez is as ignorant and ill – informed as they come. But what would one expect from a 29 yr old former bartender from New York City with a bachelor’s degree from Boston College? I’ve sent emails to the Broome County legislature about the failure of Energiewende citing internet articles. They should heed the warning as they have already blown over $4,000,000 on the Broome Solar “farm” in Conklin. Only a fool would advocate for a power source that is as intermittent as solar and wind. No “green” energy is not being abandoned, nor is Ocasio-Cortez responsible for energy policy. 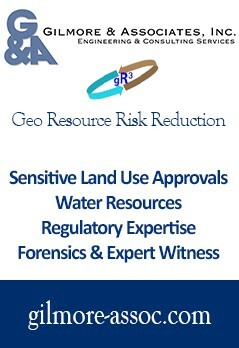 More realistic observations and answers will show both opportunities and problems for gas supporters. The main reason renewables are not getting as much government help is that they generated so much power they are disrupting our antiquated electric grid.The more variable power you dump into the grid, the less stable the grid becomes. Even a modern micro grid will degrade with too much variable power. That is what China, Germany and even the American Plains states are experiencing. There are a few ways to make variable power “dispatchable” (available when it is needed). One is to use it to pump it water up a hill when surplus power is available and let it run down hill through a turbine when it is needed. Pump storage projects work well, but are few and far between. Another is to pump air into a cavern under high pressure and release it to generate power as needed.The last is battery storage, which is available on the consumer scale, but is expensive and has not yet scaled to utility size. Elon Musk famously delivered a 100 MWh set of batteries to Australia, but it was only used once so far for a few seconds.The key is the little “h”. Big battery or small, divide the rate you draining it into the total capacity and you have how long it will last. Do the math, if the anti’s will ever talk about what it will take to run even a small city; how big a battery, located where, at what cost and with how many wind turbines and square miles of solar panels will it take to run even a small city on a cold, winter night. Remember in the anti’s fantasy world, all appliances, heating, cooling, hot water, clothes dryers and all cars, trucks and trains will be electric.Good luck with electric passenger planes. Ocasio-Cortez is just a freshman in the House of Representatives. There are over 400 hundred others.How many, who need to be re-elected every two years, are going to meekly give her a minimum of a trillion dollars a year for the next 10+ years? We need to regain control of the energy narrative, not cater to our base so they can feel angry for a moment. Even as battery technology moves forward, we still have the best solution for the nation’s energy and environmental future. Let’s not waste the time we have on Ocasio-Cortez’s 15 minutes of fame.